Loved the nakins! Great service and prompt! 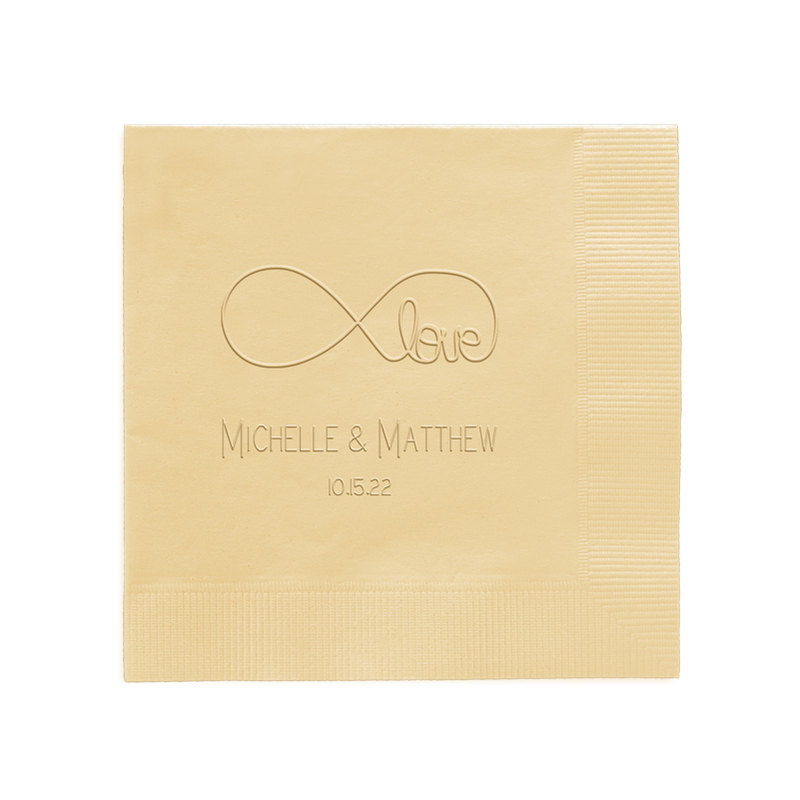 Love is in the air...and wedding bells are ringing. 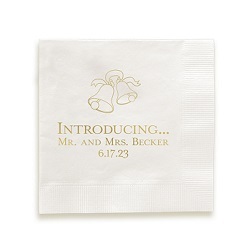 The Wedding Embossed Napkin offers you three lines of personalization and a choice of lettering style, motif and paper color, affording you endless opportunities to create the perfect napkin for your wedding shower, reception, cocktail hour or bachelorette party. 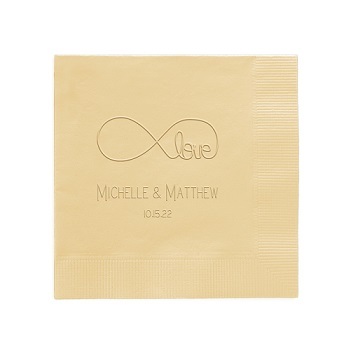 Motifs include wedding bells, rings, love, love birds and hearts. Choose either diamond or square orientation. Colored napkins have a bordered edge. 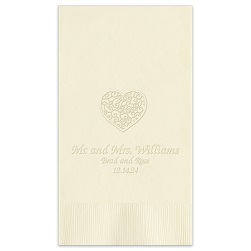 White and ivory napkins offered with either a bordered edge or plain edge.